Observation - Bindweed - UK and Ireland. Description: Climbing convovulus plant with white trumpet flowers. 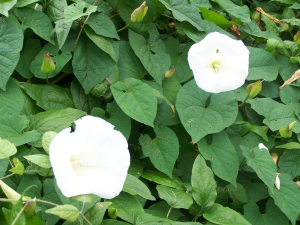 Climbing convovulus plant with white trumpet flowers.